Tucked off RR 1431 east of Marble Falls is Candlelight Ranch. It’s a place where at-risk youths, kids with special needs, and veterans and their families can find respite. A simple way to describe Candlelight Ranch is it’s life-changing. Yet, many people might not even know it exists. 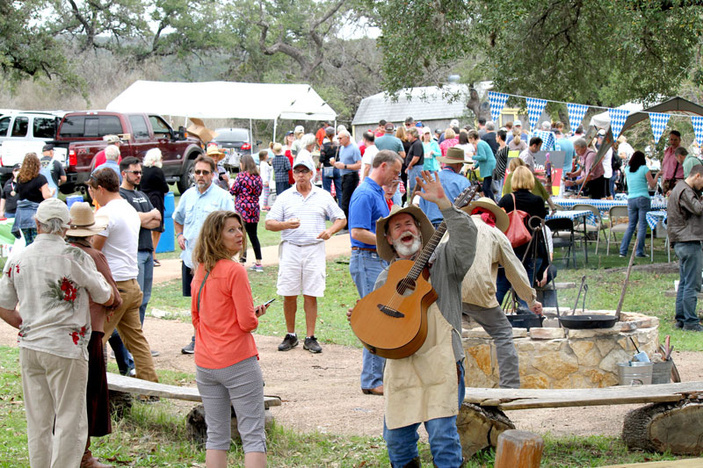 On Sunday, Feb. 10, from noon to 4 p.m., discover what Candlelight Ranch is all about — or at least a taste — during its third annual Chili Cook-off and Car Show. The ranch is located at 6408 Muleshoe Bend Trail. “This is a great opportunity to come out and learn what Candlelight Ranch is,” Development Director Tara Gray said. On the surface, Candlelight Ranch offers therapeutic and nature-based educational experiences to at-risk youths and children with disabilities. Over the past several years, the nonprofit has been providing weekend retreats and other programs to veterans and service members and their families. An amazing feature of Candlelight Ranch is it's fully accessible for those with disabilities, even its zip line. For many kids from inner cities, their first view of a twinkling, star-filled night sky is at Candlelight Ranch. Making it work, however, takes effort and community support. Much of that support comes during the fundraising cook-off and car show. Tickets for the event are $25 for adults and $10 for ages 4-17. Ages 3 and younger get in for free. Tickets are available at candlelightranch.org or the gate. Admission includes wine and beer tastings, a chili tasting, and live music. Plus, kids can enjoy some of the activities at the ranch, including hay rides, a scavenger hunt, and the zip line. Gray said 12 chili teams are lined up as well as a group of celebrity judges. There’s a People’s Choice selection, too. The car show also features motorcycles. Expect some nice classic cars, hot rods, and more. “We just hope people will come out, have fun, and just learn about what we do,” Gray said.